Compatible for Essential PH-1/ Huawei P10/ LeEco LeMax2/ Motorola Moto Z2 Force, MotoZ, Z Droid Force/. Not compatible with Razer Phone/Google Pixel2/HTC U11/ Huawei P20Pro/IPadPro. Type C to 3.5 mm Audio Speaker Headphone Stereo Adapter Connector. Compatible for Essential PH-1/ Huawei P10/ LeEco LeMax2/ Motorola Moto Z2 Force, MotoZ, Z Droid Force/ Elephone S8/ Xiaomi Mi Mix2S, Mi Mix2, Mi6. Type C USB C to 3.5 mm audio speaker microphone female adapter. 1 x White Type C Headphone Jack Adapter. HIGH QUALITY TYPE C HEADPHONE ADAPTER. We will resolve any issue you have, that′s a promise. However, we give our full cooperation with yourself in order to file a claim in our best of capacity. For Xiaomi 6 Xiaomi Note 3. For Huawei Mate 10 Mate 10 Pro. For Huawei P20 P20 Pro. For Smartisan Nut Pro. For Nubia Z17,MI 6. THIS CABLE IS GREAT FOR Plug and play. 1 x Type C Audio Cable. 3.5 mm Earphone Headphone Y Splitter Cable Adapter Jack Male. Share your music with this Earphone / Headphone cable splitter. With this 3.5mm Speaker Stereo Audio Y adapter, now you can connect your newer headsets and listen your tunes together. 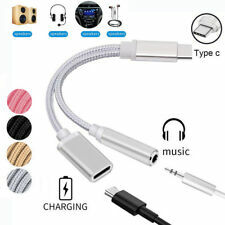 White Type-C USB C To 3.5mm Earphone Headphones Jack Adapter Audio For Huawei LeMax. Compatible for Essential PH-1/ Huawei P10, P10Pro/ LeEco LeMax2/ Motorola Moto Z2 Force, MotoZ, Z Droid Force/. Type C to 3.5 mm Audio Speaker Headphone Stereo Adapter Connector. Bluetooth Audio Aux Music interface module. Compatible with iPod/iPad/iPhone 3gs 4 4s 5 5C 5S 6 6 plus 7 8 10, Samsung HTC Sony Nokia and most other phones or pads. For Range Rover Sport Bluetooth Audio Module. For Jaguar XF 2010 Bluetooth Audio Module. Just plug the into the socket in your Discovery vehicles and pair your phone, pad, etc with our Bluetooth module and choose AUX in Audio selection. Bluetooth Audio Aux Music interface module. 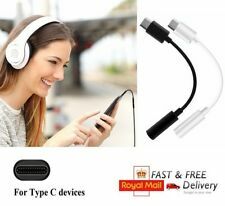 ThisREALMAX® adapter is dedicated to enable you to play audio from your Type c phone on your headphones, earphone, Bluetooth speaker with 3.5mm audio ports. Allows you to connect your 3.5mm headphone to your USB C devices to achieve audio play and hands-free. USB Type-C To 3.5mm Jack AUX Headphone Audio Splitter Converter Adapter Cable. 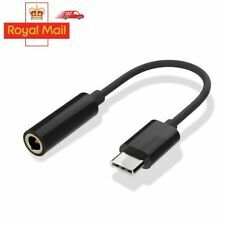 USB type C male to 3.5mm earphone female type C female splitter adapter connector cable. Type: Type C to 3.5mm Audio Splitter Adapter Cable. 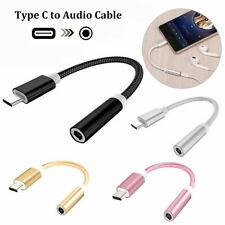 This Adapter Supports Connecting Devices Using A 3.5mm Audio Cable Connect To Your Type C Devices That Have In Ear Earphone Jack. High Quality 3.5mm Audio Earphone Jack Cable. We Suggest That You Put The Earphone To The Type-C 3.5mm Adapter First, And Then Connect Devices To Your Type-C. Compatible with iPod/iPad/iPhone 3gs 4 4s 5 5C 5S 6 6 plus 7 8 10, Samsung HTC Sony Nokia and most other phones or pads. Bluetooth Audio Aux Music interface module. 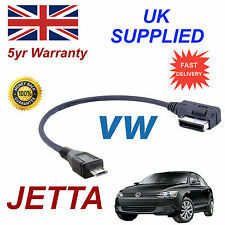 For Range Rover Sport 2010 Bluetooth Audio Module. 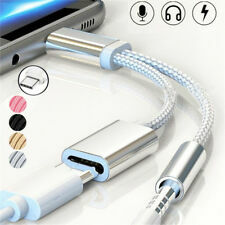 Micro USB Data Cable. WE ONLY CAN FIX A PROBLEM IF YOU LET US KNOW. Requires VW 3rd generation MMI system. Fits VW TIGUAN Series with 3rd Generation MMI SYSTEM. Perfectly matches the factory fitted VW Music Interface. Adapter for connecting audio sources with micro USB ports. MacBook 2015. 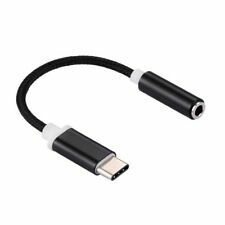 USB-C type c to auxiliary audio cable adapter 3.5mm Headphone Jack. 1 Type-C Converting to 3.5 mm Audio adaptor. USB-C / Type-C Male to 3.5mm Female Audio Adapter Cable. Samsung Galaxy S8 & S8 .